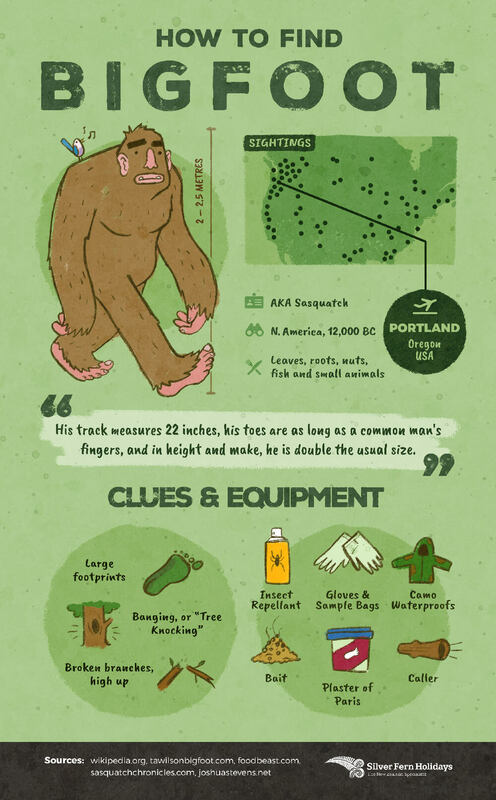 The Bigfoot is perhaps the biggest celebrity monster, yet the obsession didn’t start until the 20th century. A famous sighting by Roger Patterson in 1967 thrust the Bigfoot phenomenon into popular culture. 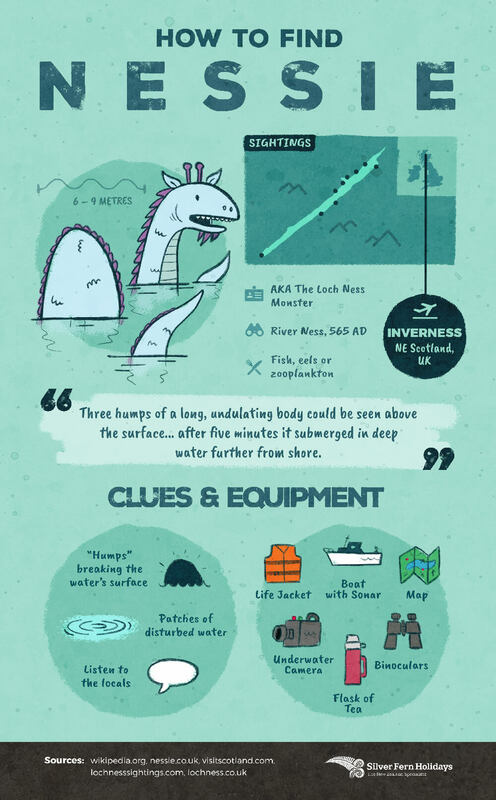 The Loch Ness Monster is another well-known celebrity of the monster world. At roughly 6 to 9 metres long and inhabiting the Loch Ness in Scotland, this monster has lived in the folklore of the region for centuries. Nessie gained international notoriety and fame after George Spicer claimed to have photographed the infamous beast and it was published on the front cover of the Daily Mail in the 1930s. Fly into Inverness Airport if you want to catch Nessie. You’ll need a boat, some binoculars, a lifejacket and some whiskey to keep warm in the harsh cold of the Scottish Highlands. A knighthood from the Queen would most definitely follow catching Nessie. Who knows? The Queen might give you the lake as a gift. You’ve got nothing to lose and so much to gain. The Goat Sucker exploded into the international monster world in 1995. 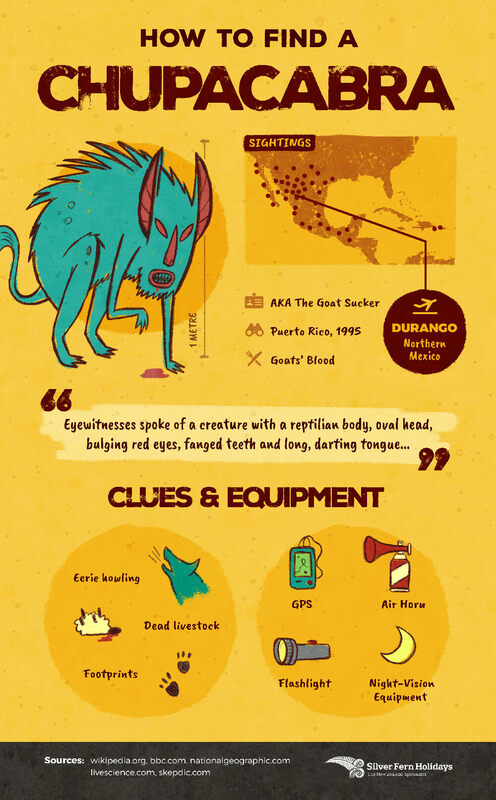 Spotted first in Puerto Rico, and subsequently across Central America, these critters will strike fear into the heart of anyone. They’ve been made famous by the remains of their prey. Farmers report finding their livestock drained of all their blood, through two small punctures. Something doesn’t add up here, does it? Fly into Durango Airport in the North of Mexico to get into Chupacabra territory. 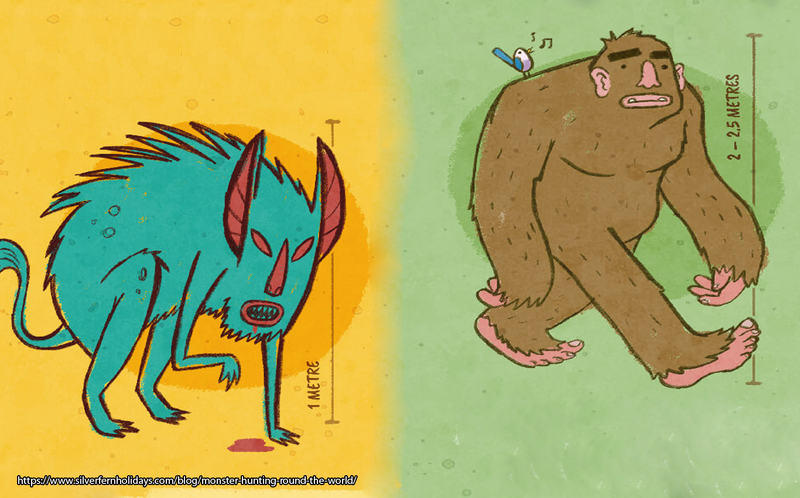 You’ll need night vision goggles as these monsters operate by night. Look out for dead goats, any weird tracks and listen out for any haunting howls in the night. The Abominable Snowman is said to be a cousin of Bigfoot. They are similar in size, stature, shape and descriptions except they live in different climates. 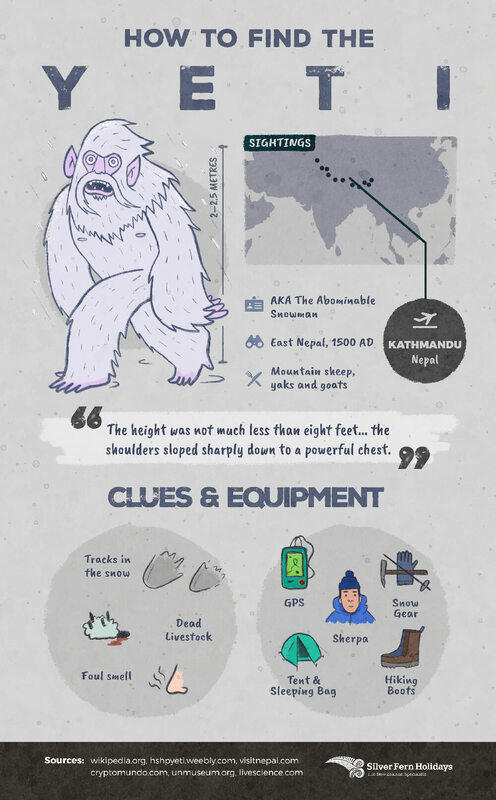 Whilst Bigfoot stalks the Pacific Northwest, the Yeti is facing the tundra of Nepal. Said to be eight feet tall, with huge shoulders and a bulky chest, the Yeti strikes fear into the heart of anyone who encounters it. Fly into Kathmandu Airport in Nepal to begin your journey. Look out for any tracks in the snow, dead livestock or pungent smells. Make sure you’ve got the right gear for the temperatures and that you won’t be easily seen. You don’t want to stick out like a sore thumb in some bright clothing. 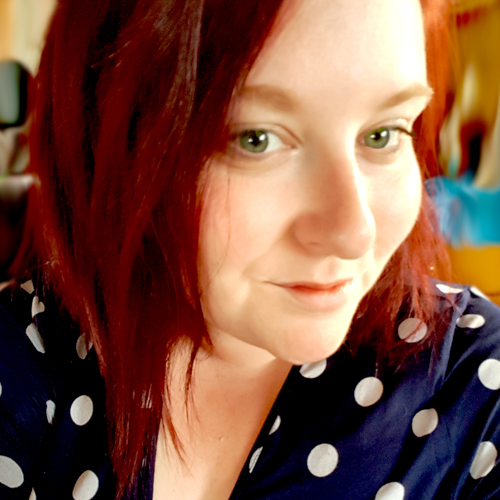 Keep your wits about you, you don’t want to antagonise a Yeti. Thanks to Silver Fern Holidays for use of their funky illustrations!